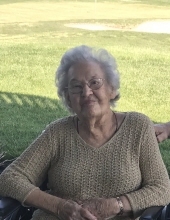 Doris Trielo Philpot (nee Schadt), age 94, died on April 6, 2019. Born in Philadelphia, Doris lived in Woodbury most of her life. She graduated from Paulsboro High School in 1942. Doris has lived in Northfield, NJ for the past seven years. Doris worked for Silver Linens in Woodbury and she was a bookkeeper for the Woodbury Times for many years. Doris was an active member of the Woodbury Country Club where she enjoyed golfing, participated in the club bowling league and played bridge. She was also an avid reader. She was predeceased by her husband Joseph Trielo and husband Joseph Philpot. Survived by her son Bruce Trielo and grandchildren Christine and Brett Trielo. Friends may greet the family on Thursday after 10am in the Budd Funeral Home, 522 Salem Ave. (Kings Hwy), Woodbury, NJ. Funeral service will be at 11am. Interment Woodbury Memorial Park. Memories may be shared at www.buddfuneralhome.com. To send flowers or a remembrance gift to the family of Doris Trielo Philpot, please visit our Tribute Store. "Email Address" would like to share the life celebration of Doris Trielo Philpot. Click on the "link" to go to share a favorite memory or leave a condolence message for the family.